Have a Jolly Cholly Christmas! 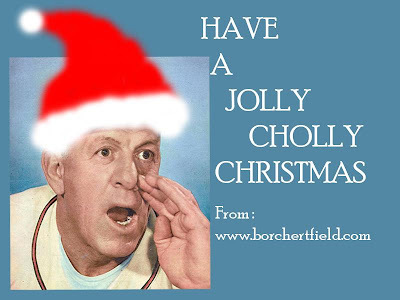 Merry Christmas and Happy Holidays from everyone at Borchert Field! "On Him It Looks Good, Too"
This cartoon from Milwaukee Sentinel cartoonist Lou Grant, published seventy years ago last month, shows Brewer president Bill Veeck having recently enlisted in the Marine Corps. 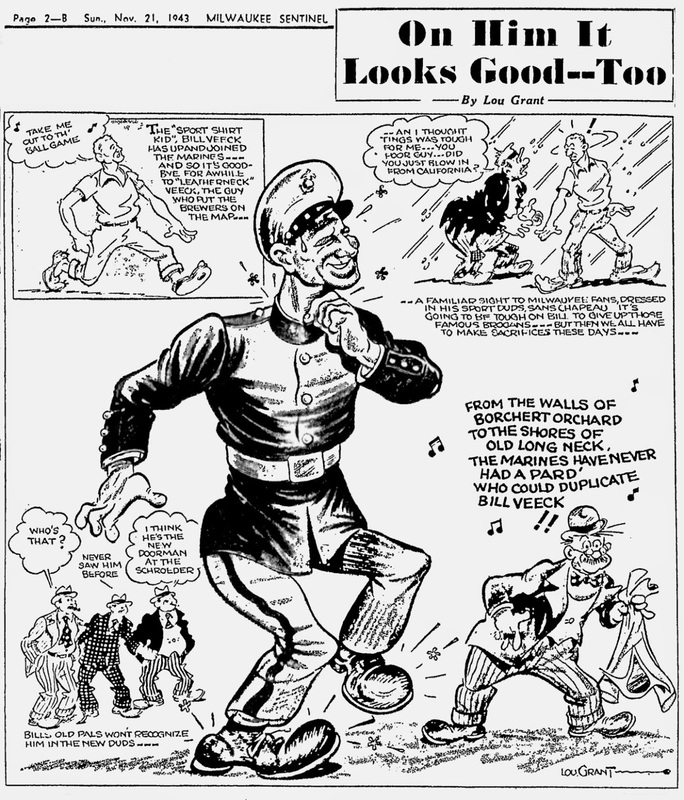 Who could duplicate Bill Veeck!! Another Ebbets Field Flannels Sale! to get 20% off your total order. 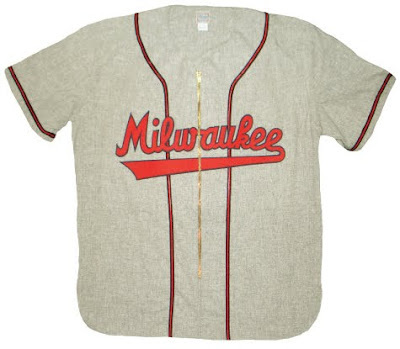 This is the perfect time to pick up your reproduction 1947 road jersey (seen above), a 1936 road jersey or 1905 Brewers road cap.